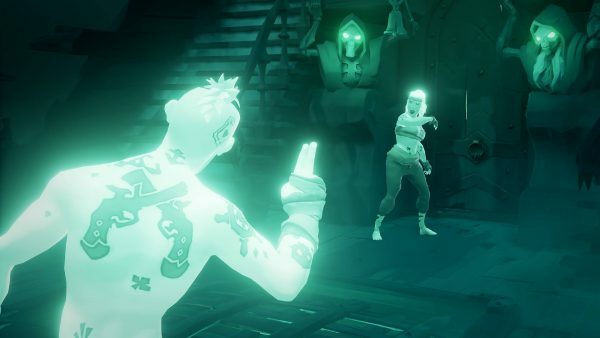 Sea of Thieves will charge a death tax in a future update. When the new feature goes live in Sea of Thieves, players will lose a bit of gold when they die in-game. According Rare, Captain of the Ferry of the Damned will deduct “a small gold fee” upon meeting the greedy fella. Rates will be dependent on the cause of death, and “the more avoidable the death,” the less “patience the Captain will have” once the feature is enabled. Try your best not to pay the Ferryman, we reckon. As expected, many players aren’t too keen on the idea of a tax, due to the way Sea of Thieves handles respawning. If you have yet to play Sea of Thieves, a quick look at this reddit thread will enlighten you on the subject. It seems after death, players will respawn rather close to where they met Davy Jones. This has resulted in multiple cases of griefing, and adding a death tax could potentially wipe out a player’s coffer. Of course, Rare hasn’t stated how much death will cost. Hopefully, it won’t be much. Sea of Thieves only went live earlier this week, and reviews have started tricking in. It had a bit of a rough start with matchmaking errors and maintenance issues , but Rare planned to address the majority of connectivity issues when Sea of Thieves went offline earlier today.